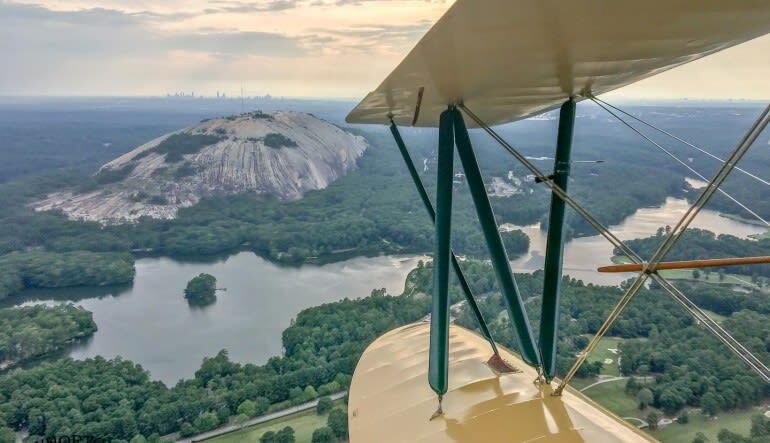 This Atlanta biplane flight takes you over magnificent Lake Lanier for a full 60-minutes of remarkable photo opportunities. 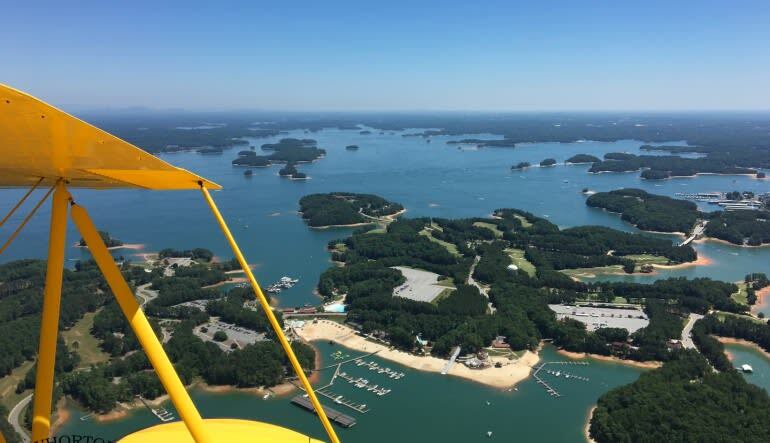 This Atlanta biplane flight takes you over magnificent Lake Lanier for a full 60-minutes of remarkable photo opportunities. 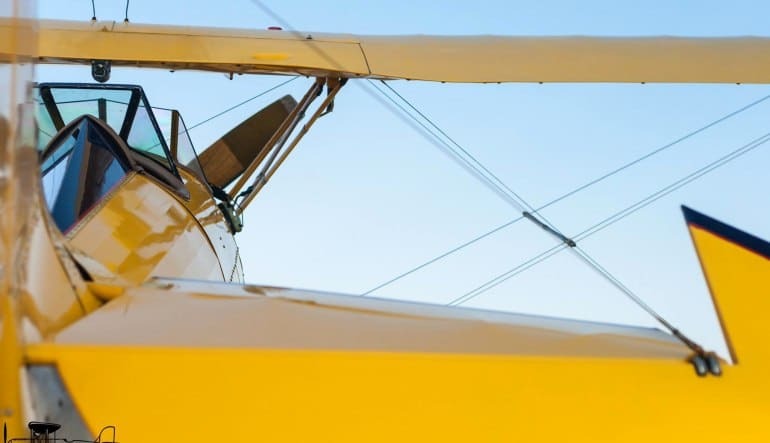 You’ll take flight in one of the operator’s two open-cockpit airplanes—the Bowing PT-17 Stearman or the WACO. Both are perfect examples of classic, war-era aviation! 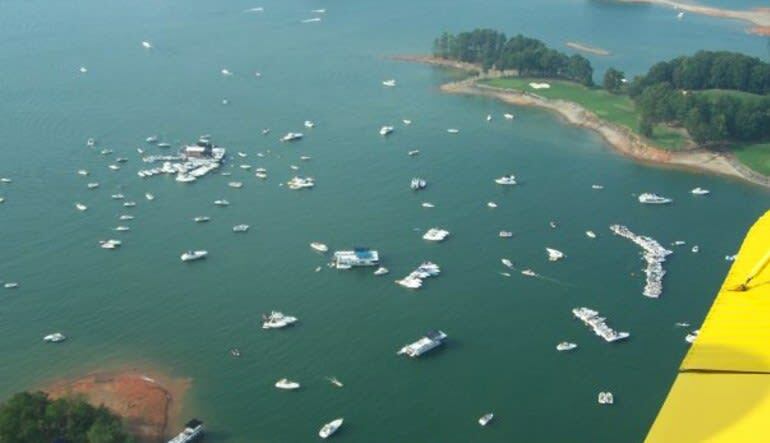 Fly over Lake Lanier where you’ll get wonderful views of marine life, sailboats, houseboats, motorboats and more! 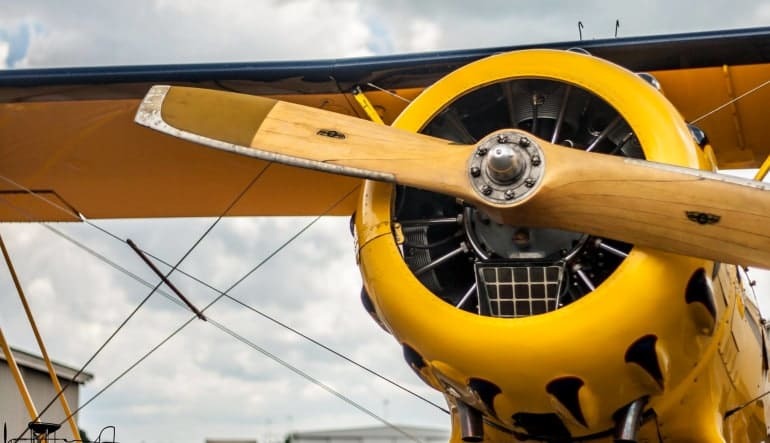 Both the Stearman and WACO are known for traversing at low altitudes, which for the purposes of this flight make them the perfect flying machines. Get up close to Lanier’s shimmering surface and snap some real eye-catchers. Single-passenger flights available upon request. The closest flight operator to downtown Atlanta! This flight harkens back to the early days of aviation and offers a one-of-a-kind adventure over one of Georgia’s most celebrates sites. Don’t miss out! My Pilot, Oodie was a wonderful person and pilot.